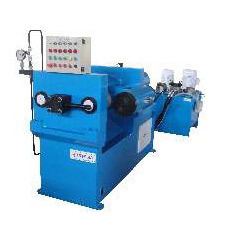 Our range of products include twin cylinder extruder and bell housing type extruder. Since our inception, we are engaged in presenting a compact assortment of Twin Cylinder Extruder to our esteemed patrons. Offered range is designed and developed at our manufacturing setup under the able guidance of skilled professionals. Moreover, these extruder are broadly used for numerous applications in diverse industries and sectors. Besides, our team makes sure that the these products are fabricated in accordance with the international quality standards and norms to ensure their error free nature. We offer our clients with an unmatched quality attribute of Bell Housing Type Extruder, which is manufactured under the surveillance of our enthusiastic team mates who strive to follow industry laid parameters. Our range is designed and developed utilizing premium grade raw material that is procured from the authentic vendors of the market. Further, these products stand tall on the clients needs and demands owing to their sturdiness and optimum functionality.